Here's what you came to see. Sort the pictures by clicking on the category buttons at the top. 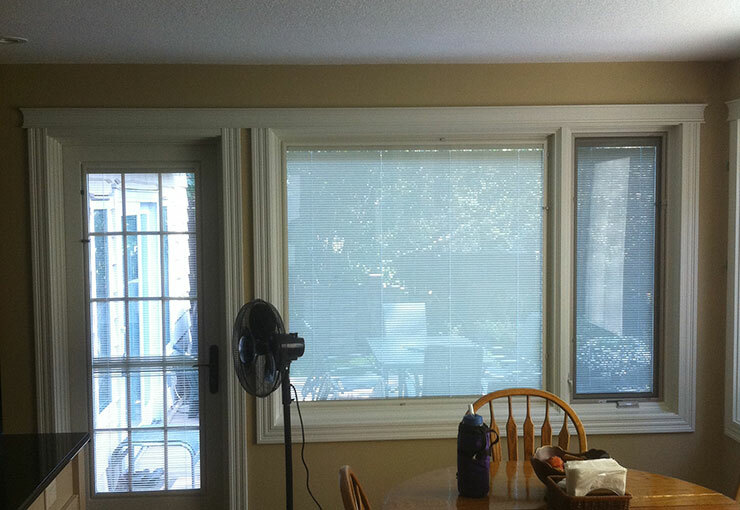 All pictures taken with the consent of the owners. 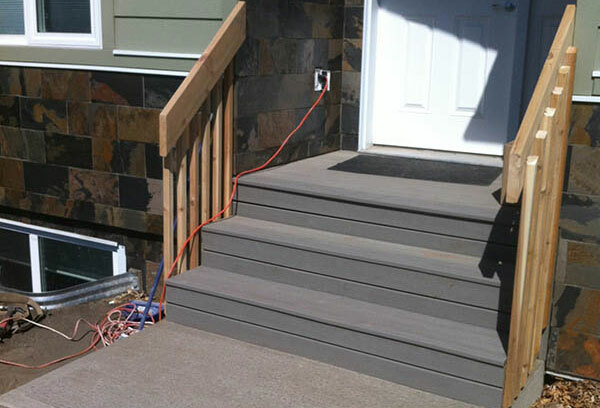 But really, who wouldn't want to show off this awesome work? 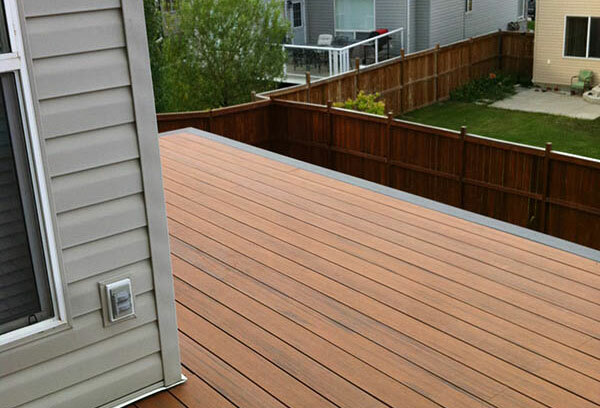 Two Tone Trex Composite Deck Boards with Picture Frame Design and Hidden Clip System. 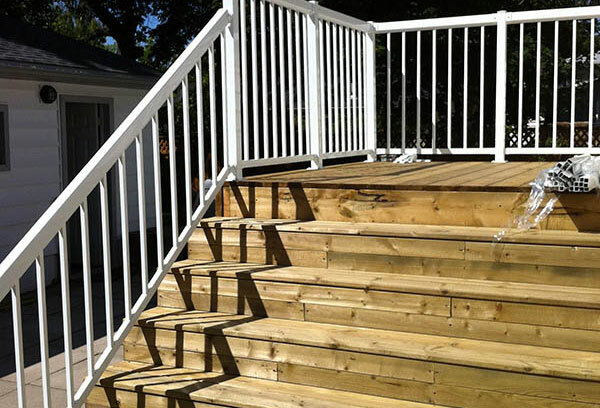 Trex Composite Deck Boards with Cedar Railing. 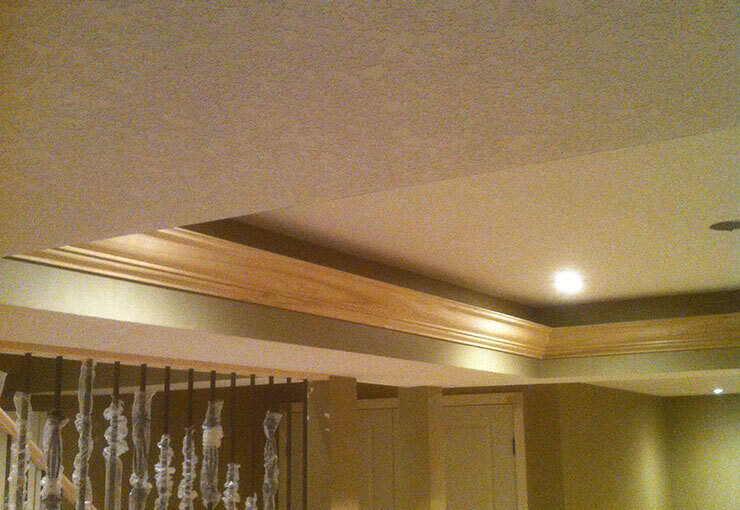 Coffered Ceiling Design with Crown Moulding Detail and Inset Lighting System. 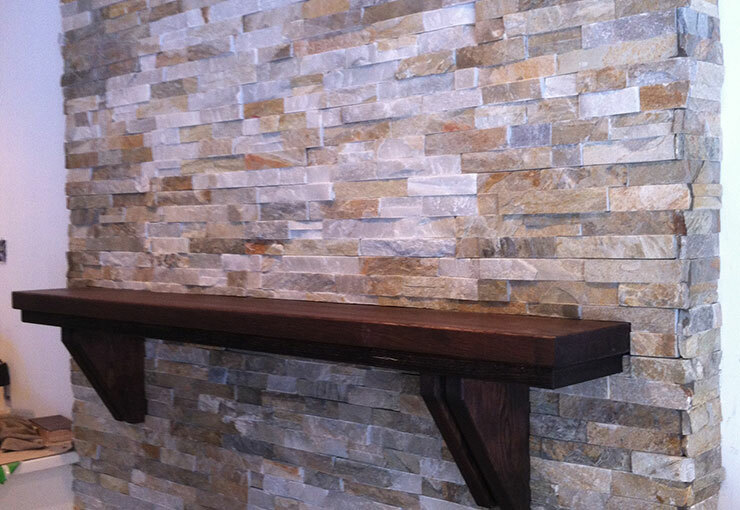 Custom Solid Oak Mantle with Natural Stone Tile Surround. 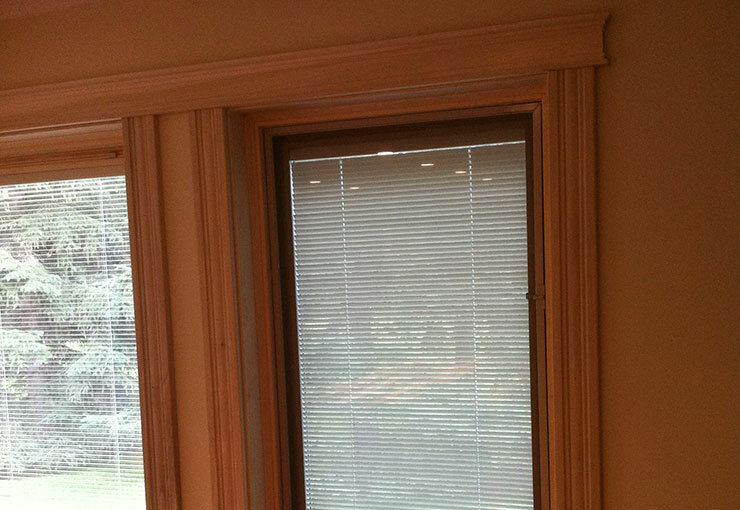 Poplar Trim Work with High Gloss Lacquer Finish. Poplar Trim Work prepped and ready for Lacquer Finish. 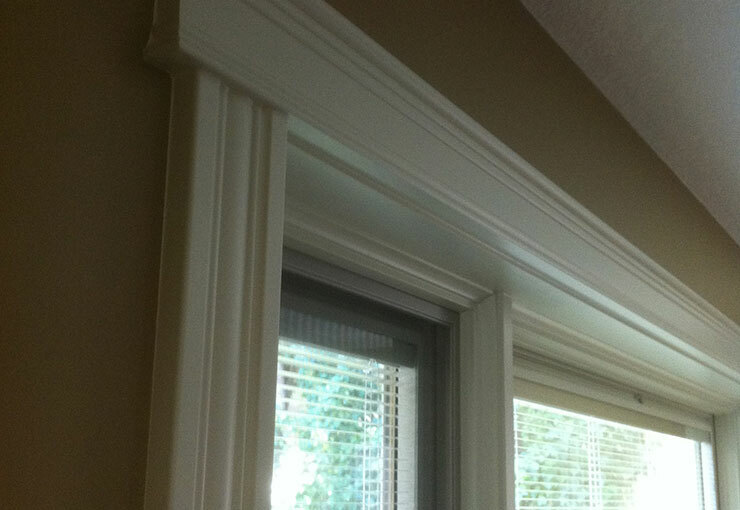 Poplar Trim Work with Custom Header Design and High Gloss Lacquer Finish. 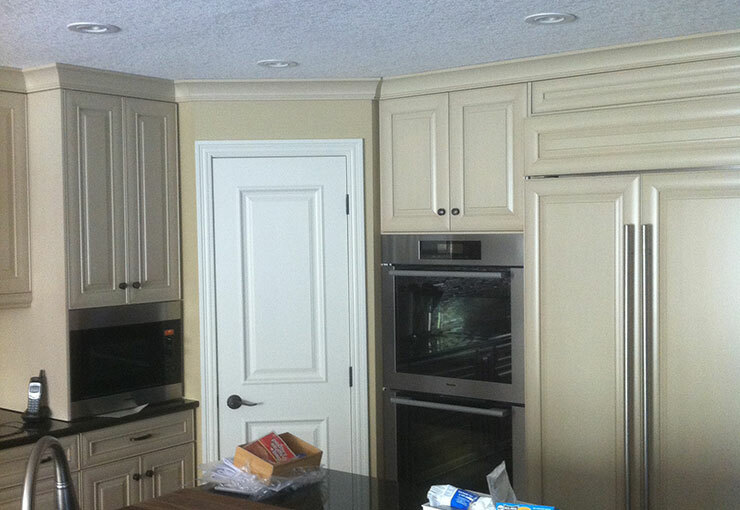 Lacquered Cabinet Install with Custom Fridge Panels and Two Piece Cornice Moulding. 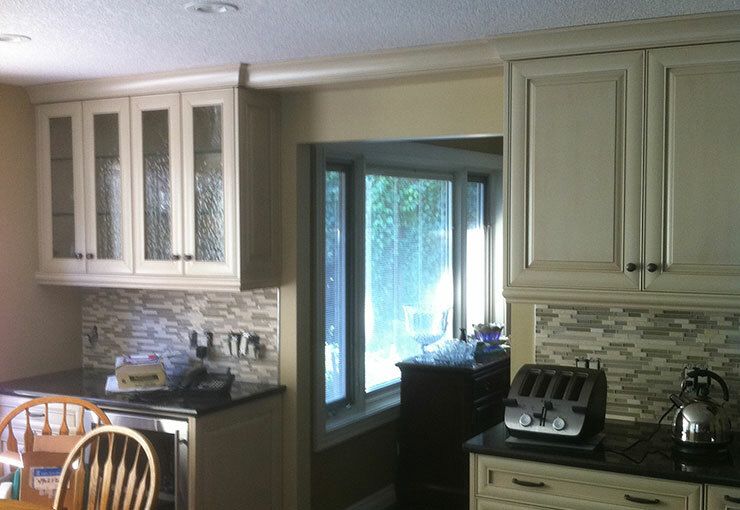 Lacquered Cabinet Install with Mosaic Backsplash and Two Piece Cornice Moulding. 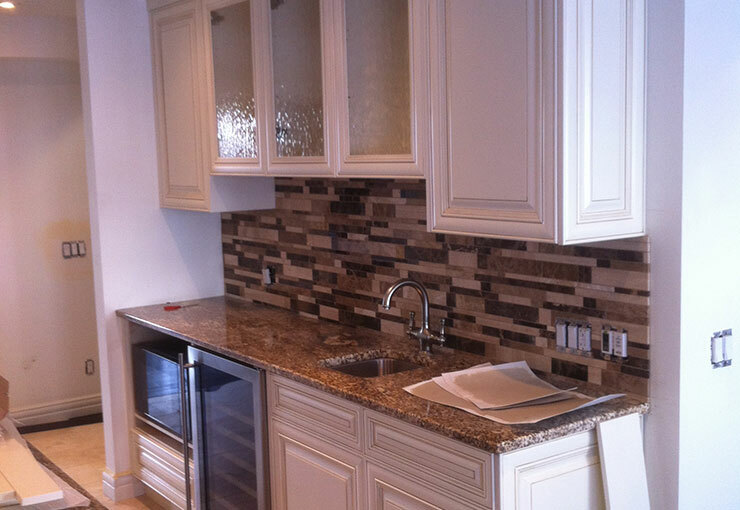 Wet Bar Design with Antique Ivory Lacquered Cabinets, Granite Counter Tops and Mosaic Backsplash. 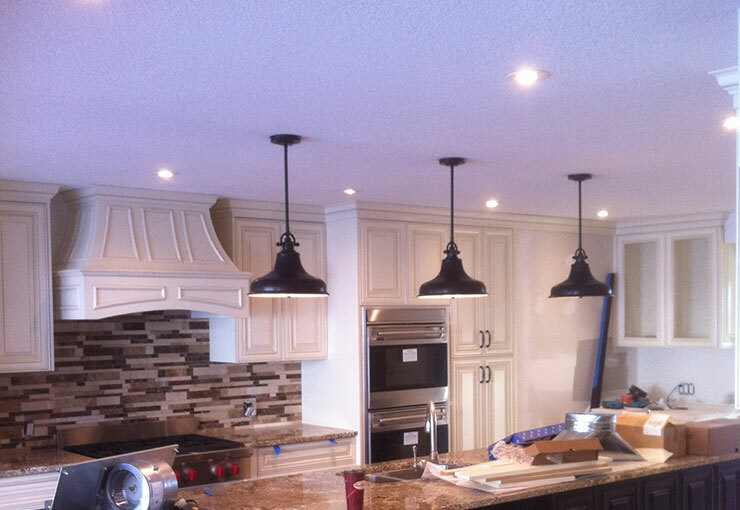 Antique Ivory Lacquered Cabinets with Custom Hood Fan Design and Mosaic Backsplash. 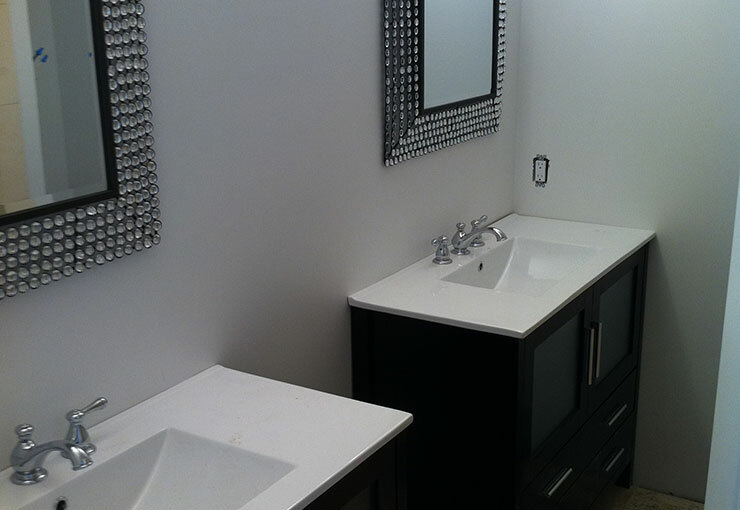 His and Hers Modern Design Custom Cabinets. 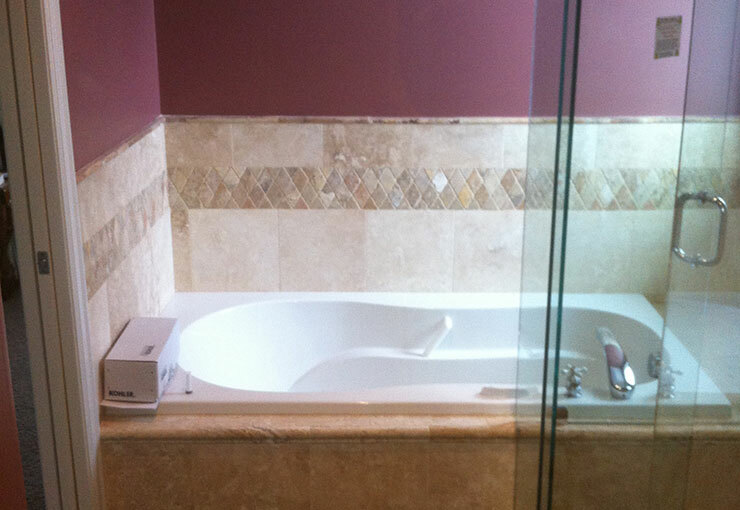 Natural Stone Tile Bath and Shower Install.